The Fairlady Z has been the iconic FR Sports car of the Nissan Stable throughout history. Printed on a high quality tailored hoodie, it features the 370z, 350z, 300zx & 240z and includes the history of the Z in Japanese on the rear. So comfortable and fitting. 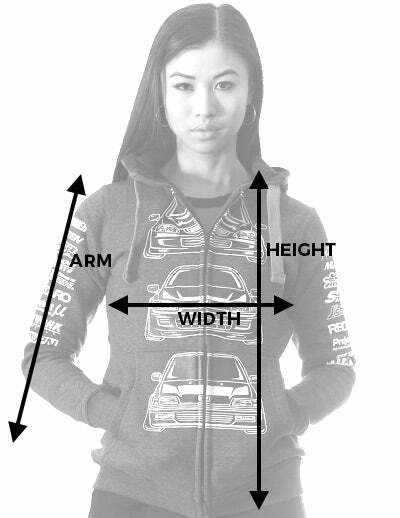 5’2 and 114 lbs wearing an XS. True to fit. Great quality and great material. Definitely will order more!